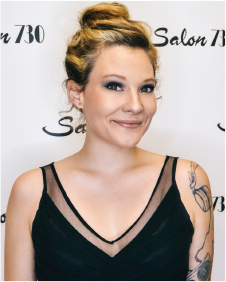 We are a team based salon, which creates an open, non-competitive environment so that you “our guest” may enjoy the convenience of service with any one of our talented team members. In order to accommodate a variety of guests and budgets, we use a level system to help you choose a team member that is right for you. A stylist’s career path, experience and demand, helps determines the stylists level, which in turn increases that stylists pricing. In the event your stylist moves up a level and their price should exceed your budget, your stylist will be happy to make a recommendation for you. We want to ensure you that all of our stylists will give you great service and product recommendations. Salon 730 prides itself on continuous education. All team members are committed to bestowing upon you the highest level of service. 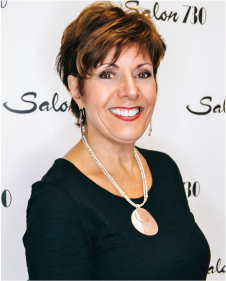 With 40+ years’ experience Billie received her training in Kitchener Ontario. During her career Billie spent three years as the East Coast Education Manager for Zotos International. In 1997 she received the “Salon Executive” award for the US from Graham Webb International. In 1999 she was awarded the “Education Excellence Award” and “Educator of the Year” for the US from Zotos International. Billie was named the “2014 Entrepreneur of the Year” by the Fredericksburg Chamber of Commerce. Which she adds could not have been done without the amazing team here at Salon 730. 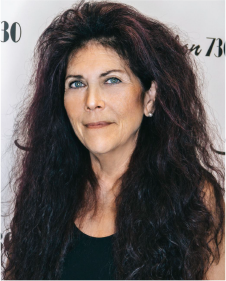 With 40+ years of experience, Charlene brings a high level of expertise and knowledge to the salon. Charlene’s first passion is found in cutting and perming hair. She has completed many advanced workshops over the years in coloring and cutting. She has a special knack that makes each client feel comfortable and one of a kind. Amie Lapier grew up in the industry and showcased a raw talent since she was small. She graduated from the prestigious Graham Webb Academy in 2008. 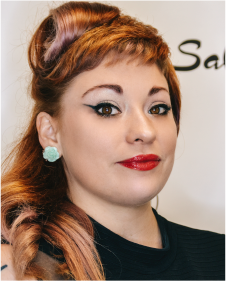 Certified in multiple color lines, and with advanced training in cutting and color techniques, Aimee has true vision when it comes to creating that personalized look. Her passion is undeniable, and her personality is even more contagious. 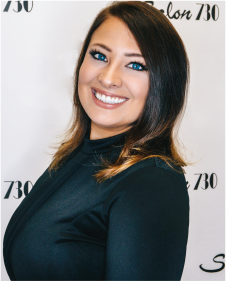 Tielle is an award-winning stylist placing 1st in the “Best Makeover” competition with Aveda in 2008, while working at Circe Salon in Alexandria as a “Master Colorist”. Tielle enjoys and excels in all phase of hairdressing but her specialty lies with color. In particular, corrective color and color conversion. If you’re looking for an exciting new color or have a “911 hair color emergency” call Tielle! Kristen is a graduate of the Graham Webb Academy. For nearly a decade she enjoyed a career as an industry educator. Teaching for Graham Webb, Wella, Sebastian and Nioxin. 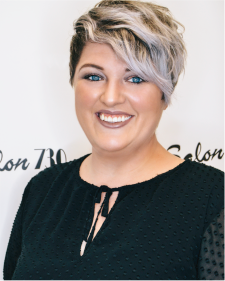 Kristen is an ABCH (American Board-Certified Hair Colorist) Kristen excels in area of haircoloring, including color corrections. Years of educating and advanced training have created an impeccable eye for detail that will amaze you. 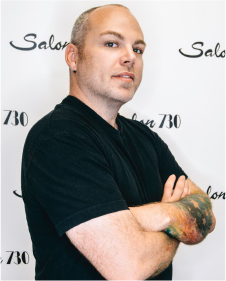 Cash is a member of the Davines North America Artistic Team. When not in the salon you will find Cash travelling, educating other stylists on Davines color and cutting techniques. While adept at all phases of cutting and coloring, Cash’s specialty is in creating reds. From soft natural coppers to multi-dimensional reds. He is also one of the few stylists certified in Flamboyage and Imprint special effect coloring. Both techniques are unique to Davines Salons. Let Cash create something unique and special for you! Kimi loves interacting with people and having the opportunity to guide them in their transformation experience. Kimi excels in all phases of hairstyling. From Special Occasion looks, classic and contemporary cuts, balayage and color. She particularly enjoys working with curly hair. 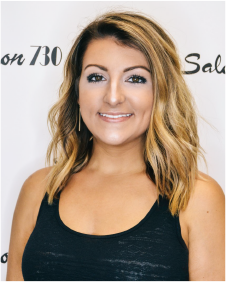 She is also certified with Babe Extensions Whether you are looking to update your look, or a full transformation Kimi is the stylist for you! Fallon graduated from the prestigious Graham Webb Academy in Arlington VA in 2007. 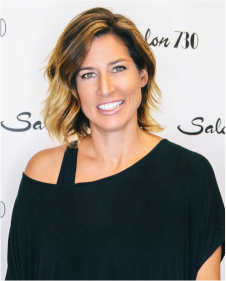 Fallon’s advanced education includes Vidal Sassoon in San Francisco, Paul Mitchell in both Las Vegas and Northern VA. Now a certified Color educator for Eufora, Fallon visits salons, educating stylists on Eufora color and trends. 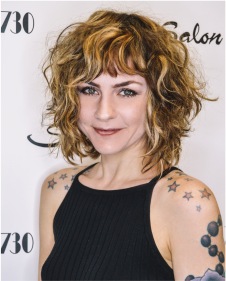 Fallon is continually travelling between the east and west coast for advanced color education bringing new and exciting looks back to the salon and her peers. She loves all phases of hair dressing but excels and enjoys creating custom colors to enhance her guest’s cuts, skin tones and eye color. Rita’s experience in the industry spans over 40 years. 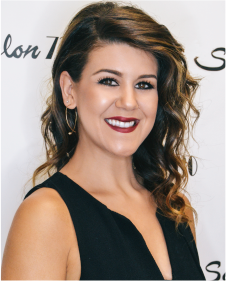 She has worked with Redken as a Regional Performing Artist and Educator and she has received various awards through J.C. Penney Co. including; “Top Ten” National Stylist, “Leading Salon Stylist for Sales and Service” (five years in a row), and the recipient of the “Customer Service Award” (10 years in a row). While her experience and knowledge speaks for itself, she is an amazing detailed oriented stylist. Royce graduated from the Paul Mitchel Academy Tysons Corner in 2012. Since then he has taken advanced courses in Balayage and advanced color placement. Royce loves creating funky looks to classic sleek styles and excels in the art of Balayage. 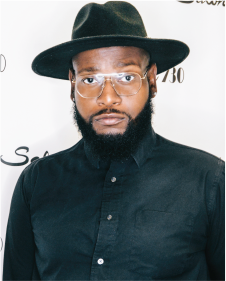 Royce comes from a family of barbers and is proficient in men’s barbering and styling. Royce is extremely passionate about his craft. You are sure to be delighted with your new look! 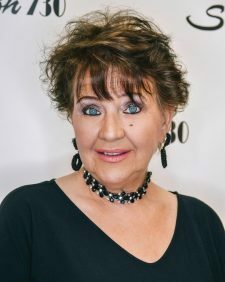 Debra’s career spans over 40 years. She has been a salon owner. 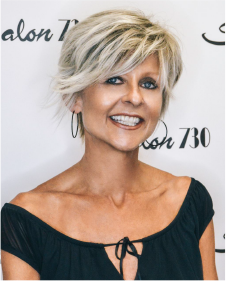 (The Hair Colosseum of Fredericksburg and the Hair Zoo, South Carolina) In addition Debra’s career includes being a district supervisor and trainer for Cost Cutters in Florida and for White House Enterprise in Dunn NC. Debra is well versed in every area of hairdressing. Her experience and dynamic personality makes her a perfect match for all guests. 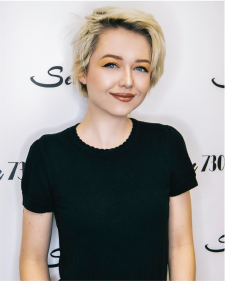 Manuela is a transplant form Brazil She received her training at the Japanese school “Soho” Soho has a 3-year training program based on the Vidal Sassoon curriculum. Manuela has also taken advanced cutting through Toni &Guy. With 10 years’ experience Manuela brings a unique and creative approach to cutting. She loves to play off the natural texture and flow of hair creating a personalized look special for you and that works for your hair type. 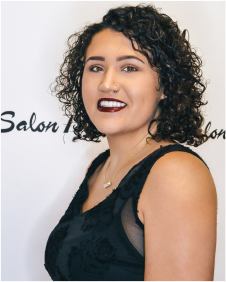 After graduating from Paul Mitchell Temple in 2009, Hannah remained in Fredrick MD where she worked at Thomas Scott Salon before re locating to Fredericksburg. Her talent with advanced coloring techniques enable her to create beautiful dimensional colors from the softest brunette shade to the boldest blonde. She loves to create custom colors, without compromising the health of your hair. Kayla is a new and upcoming talent. Kayla graduated in 2015. Since then she has completed a variety of advanced cutting and coloring courses. Including, Davines and Eufora color classes. Foundations cutting and advanced Balayage just to mention a few. 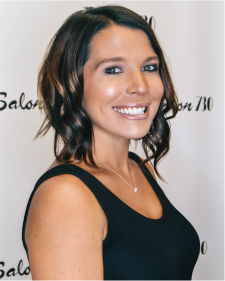 Kayla loves to work with long hair and particularly enjoys and excels with Balayage. Kayla’s bubbly personality and love of her craft is sure to please! 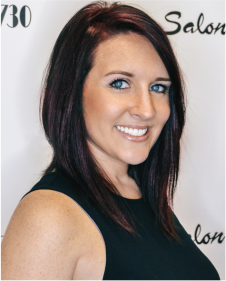 Taylor has an eye for creating color and cuts that will flatter and bring out the best in everyone. 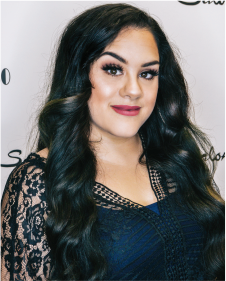 While Taylor loves all phases of hairstyling her passion lies in makeup and special occasion hair.